I took the test (academic) in April 2017 for the first time. The test was delayed for 2 hours due to miscommunication between the British council and the University of Saint Joseph in Beirut. Write your full answers on the answers sheet while listening to the recording. You will have enough time to transfer your answers to the answer sheet....so don't worry about it, and don't try to transfer them during the listening test. Bring at least 3 pencils with you and an eraser. When transferring your answers try to cross them one by one, and double check to ensure you transferred them carefully. Try to stay focused because it's easy to get distracted or tired, and then you will loose some answers. Read the questions before reading the passage, and try to answer them gradually. Mark names and dates while reading to help you find the answers when you go back to the passage. If you couldn't find all answers ignore them, and after you finish all passages look again for the answers with fresh eyes. Start with task 2 and try to put bullet points (a plan) before starting. Leave one empty line between each paragraph. Write as much as you can and don't worry about exceeding the word count. For task 1 summaries the main features on the questions sheet and then start writing. **I made a mistake, because I started with Task 1, after I wrote 60 words I deleted them and I started writing again.... I only had 20 minutes to write Task 2, so try to organize your thoughts before writing. Be confident and don't worry about mistakes. You don't have to be honest just SPEAK (if they ask you if you like Robots..... make up something). Don't give short answers, try to tell a story. Don't worry if they tell you to stop or add more (it doesn't affect your score). Smile and don't show stress on your face. Try to use a wide range of vocabulary and speak slowly. 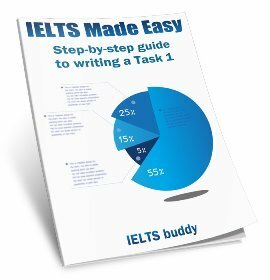 Thanks for your suggestions of some IELTS strategies and tips. Hopefully people will find them useful. I wonder if you can help me with speaking. I'm attending Ielts on 3rd June. In case you have time, my skype id: nguyet.blessed.82@gmail.com. I wonder if any possible way to tell us where to study from? 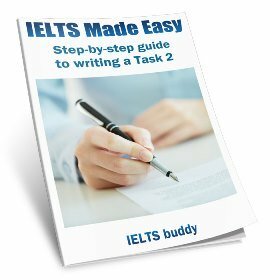 Such useful tips are always help candidates those wish to appear for ielts tests. How can i build my ielts speaking confident? Hi racha, good results can tell me witch book you study from it, is collins easy to study and prepare to IELTS? Thanks for sharing your IELTS Strategies. 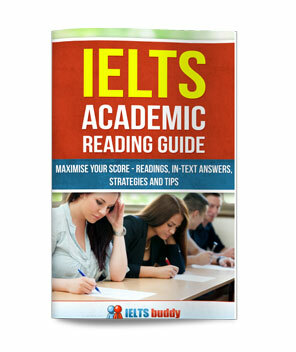 IELTS Strategies - Great advice! Thanks for your handy suggestions. I am about to take the exam this weekend so I'll follow some of them, especially the one that recommends doing the second writing task first. Wish me luck! Am Vedaste, Rwandan as nationality, am pleased to write this message so as to ask you the kind of book guides me to prepare IELTS exam? You should have a commanding voice which ultimately raises your confidence and conceals many mistakes. You have a better edge with this kind of voice. 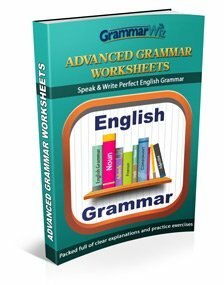 Do not make grammatical mistakes, speak confidently and clearly, giving examples to support your contentions, have attitude and show it, do not fumble and do self corrections, be with the topic. Make your card writing key words for each question and cover all the questions in your speech, it is irrelevant which question you answer first. Every paragraph has a caption and the paragraph gives information based on that inferences and solution, so try to analyse what the question demands and go to that section. Read carefully adopting skipping and skimming method of reading. Writing an essay is an art and any art comes with practice, read newspapers and listen to the English news, it will improve all your skills.